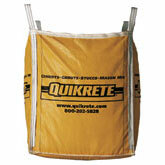 QUIKRETE® Base Coat Stucco (No. 1139) is a Portland Cement based stucco used for construction and repair of stucco walls. Complies with ASTM C 926 requirements for cement based plaster.